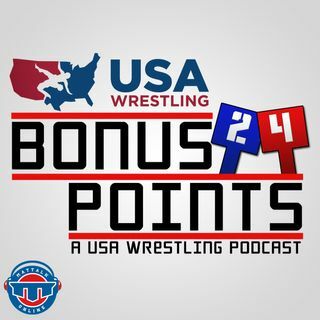 Bonus Points is the official podcast of USA Wrestling and TheMat.com hosted by Richard Immel. Sponsored by Liberty Mutual, Bonus Points offers interviews and insight from USA Wrestling, the National Governing Body for wrestling in the United States and will feature coaches, athletes and notable names from the sport of wrestling. Part of the Mat Talk Podcast Network. BP90: Will 2018 go down as the best NCAA season ever?